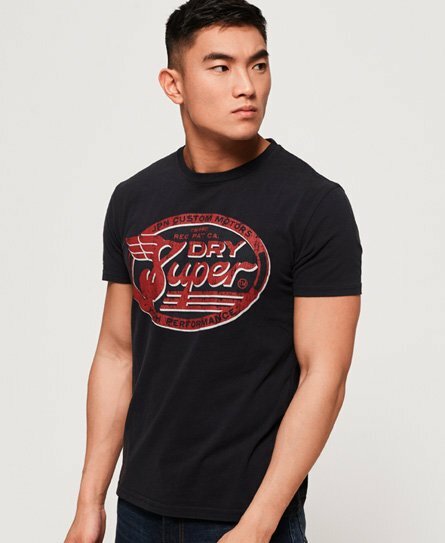 Superdry men's Custom Tin Tab lite t-shirt. This lightweight t-shirt features a crew neck and a Superdry logo graphic across the front in a cracked finish. This tee is finished with a Superdry graphic on the sleeve and a logo badge above the hem. Pair this t-shirt with your favourite jeans and boots for a casual look.